It feels like we’ve been together forever. Could it be true, that I bought you in college, more than ten years ago? You were one of a pack of three, but I knew you were special from the first. The smallest of your siblings disappeared in minutes. 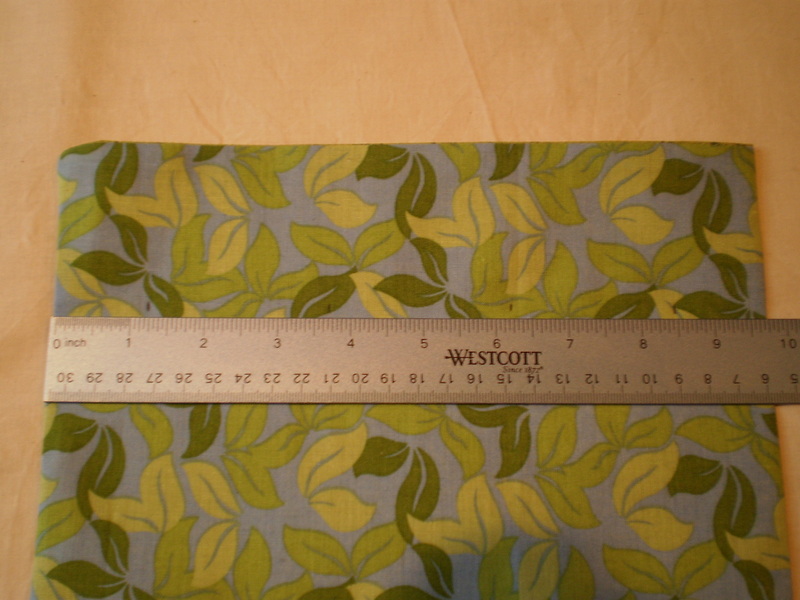 And the largest has been lost somewhere in my house (or possibly the car… or maybe somewhere out in the yard). But you’ve stayed true, faithfully at my side (and in my knitting bag) for years. 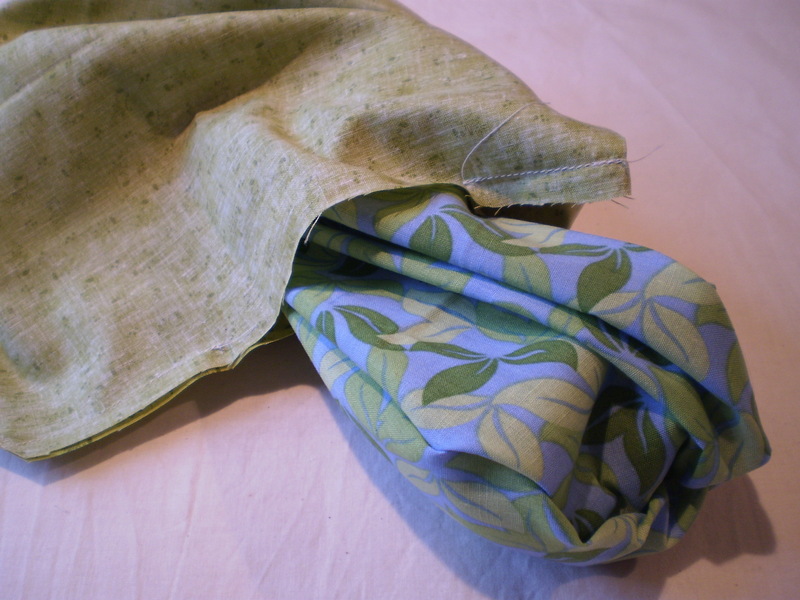 You’ve been smoothed by years of use to a lovely satiny patina that slips into stitches with ease. And, you’re beautiful enough to be used as a shawl pin. I love you, Cable Needle. And if I ever lose you, I’ll be very, very sad. This entry was posted in Knitting Accessories and tagged brittany, cable, cable knitting, cable needle, cable needles, knitting, wood on May 20, 2016 by onemilljellybeans. I have been known to use the poor man’s stitch markers (loops of scrap yarn, twist-ties, I even used my wedding ring once when I was stuck without stitch markers. That was dumb, but it worked in a pinch.). 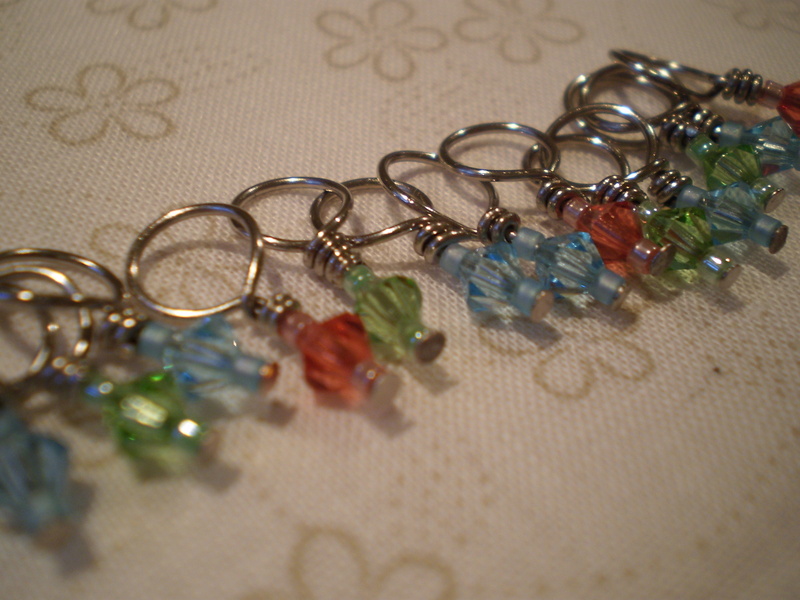 But I love my pretty stitch markers, and I like making stitch markers, too. It’s like making jewelry for your knitting needles, which is pretty swell. 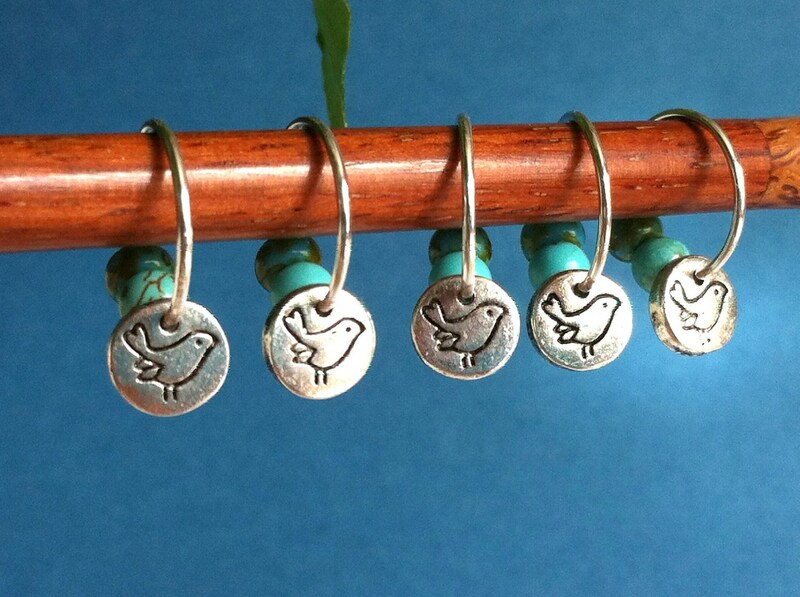 This is just one way to make stitch markers, feel free to play around with it and make it your own. Headpins- 1 per stitch marker, plus a couple for when you mess up. I’m using 2 inch long ones, but my beads are tiny. If you plan on using really big beads or using lots of beads, be sure to get longer head pins. A few pretty beads-as many or as few as you like for each marker. Having some markers with different colors/shapes can be helpful with your knitting. 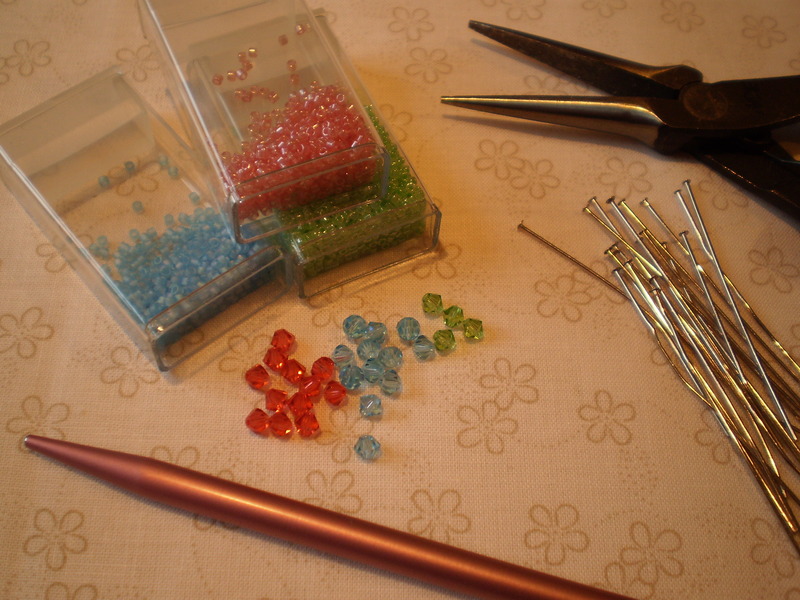 Make sure the holes in the beads are small enough that they won’t fall off the headpin. 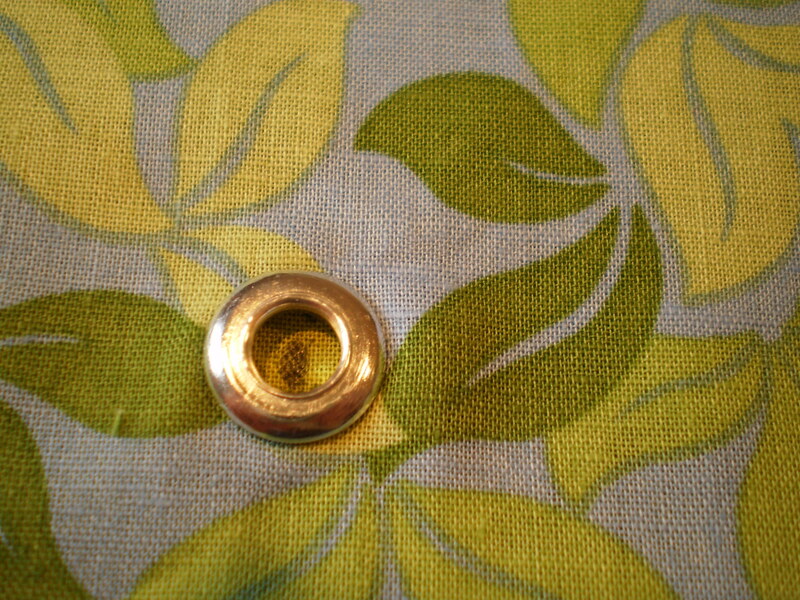 Take a headpin and thread on a couple beads in a pleasing pattern. 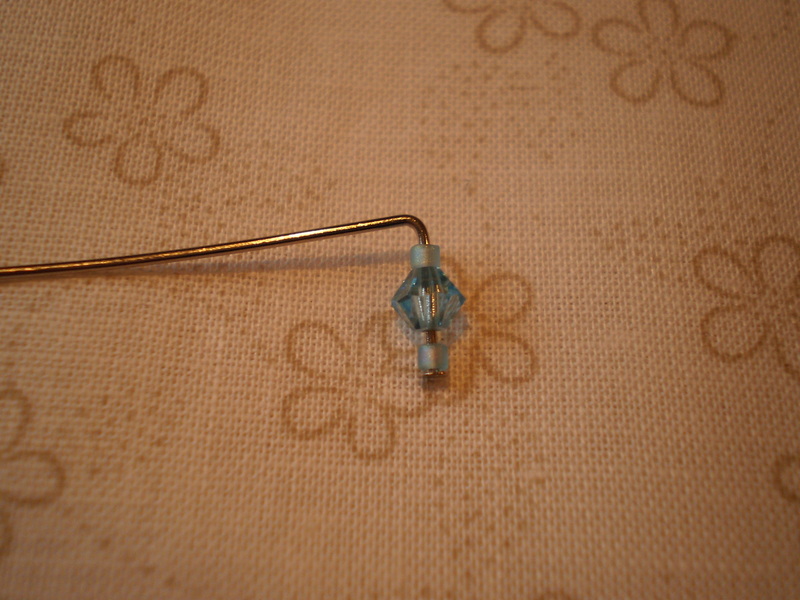 Make sure that you have at least 1.5 inches of non-beaded pin, or the rest of this won’t work. 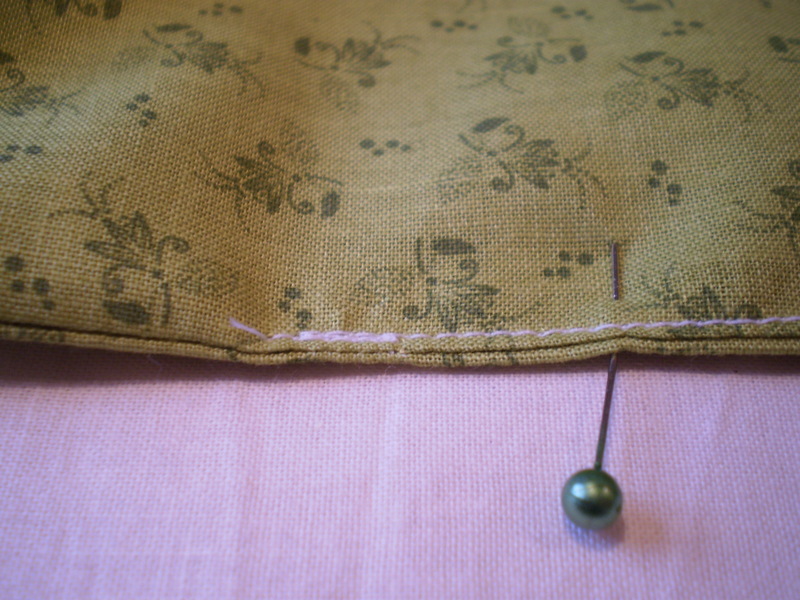 Using the pliers, bend the pin into a 90 degree angle just above the beads. 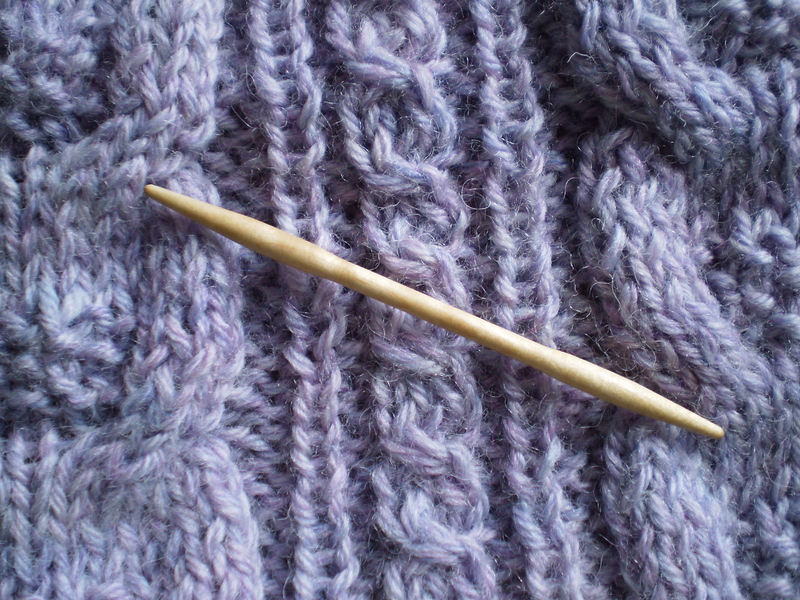 Wrap the wire around the knitting needle, making a circle. Wrap the end of the wire a couple times around the pin, just above the beads. You will probably want to use the pliers for this, unless you have crazy monkey hands. 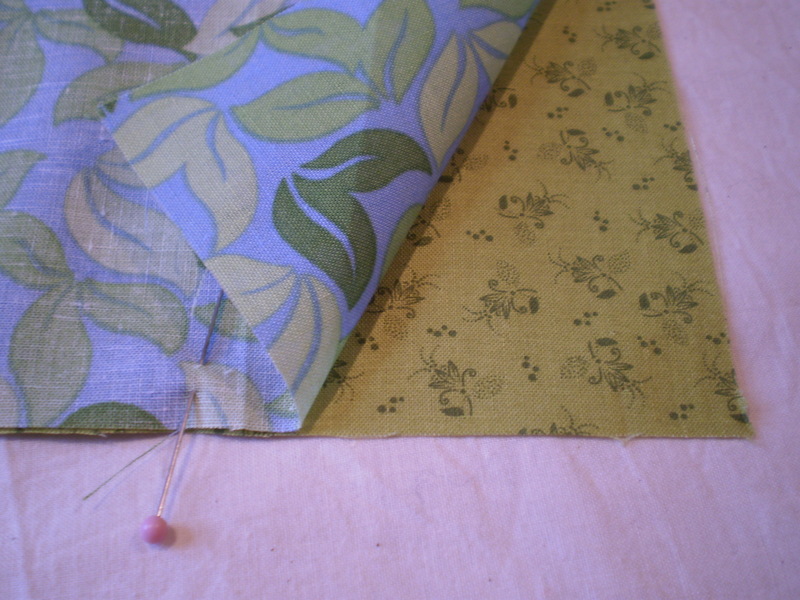 Slip the stitch marker off the needle, and trim any extra wire from the marker. Using the pliers, make sure that the end of the wire is tucked neatly away (poky bits of wire can cause snags in your knitting). This entry was posted in Knitting Accessories and tagged beads, DIY, stitch markers, wire on February 27, 2013 by onemilljellybeans. Stitch markers are pretty neat little tools. You might not use them for every project, or maybe you’ll just use one or two, but it’s really handy to have a handful in your knitting kit. They’re super easy to use, they make complicated patterns (like lace) way easier to manage, PLUS you can get really pretty ones that look like jewelry for your knitting. Win/win/win. First off… what are they exactly? They’re nothing more than a little loop that fits over your needle, between your stitches. You know when kids learn to read (or when you’re really tired and trying to finish reading something before bed), and they use their finger to point at the words they are reading so that they know where they are? That’s what stitch markers do. They come in a bunch of sizes, and about a million styles. If you’re super poor, or stuck somewhere where you don’t have access to a knitting store (poor you! 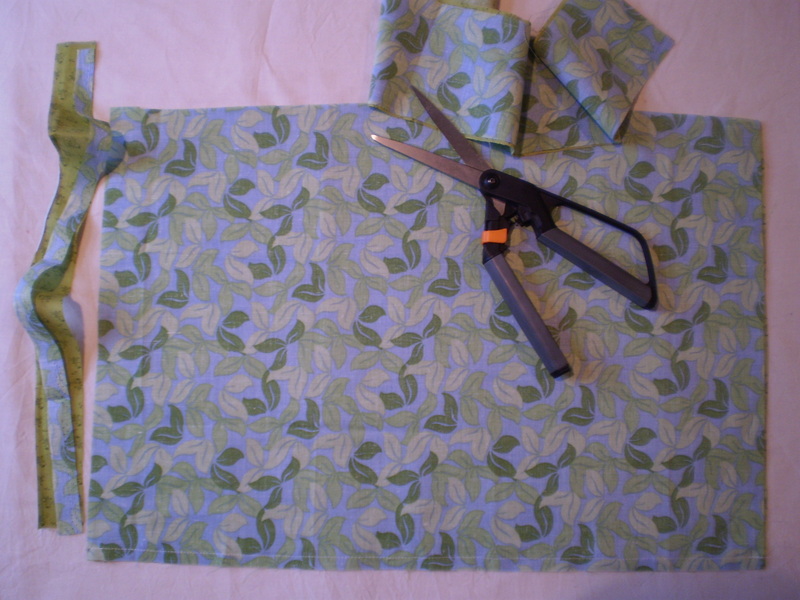 ), you can improvise, using little loops of yarn, twist-ties, or even soda can tabs, if your needles are small enough. But, no matter what kind of stitch marker you have, they all work the same way. As you’re knitting along and you want to mark a specific stitch (your pattern may say “PM” or “place marker”, or you may want to mark the beginning of a particularly tricky pattern repeat), you’ll take the stitch marker and place it on your right-hand needle. You’ll then continue knitting, as if nothing happened. Don’t stitch into the stitch marker. No yarn should ever go into the marker, or wrap around it or anything. 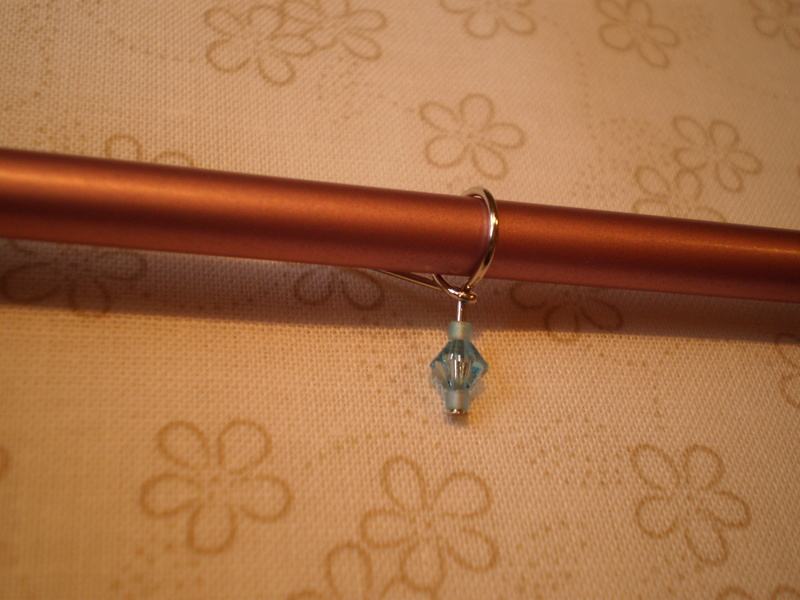 On your next row, you’ll knit up to the stitch marker, at which point you’ll think “Ah ha! 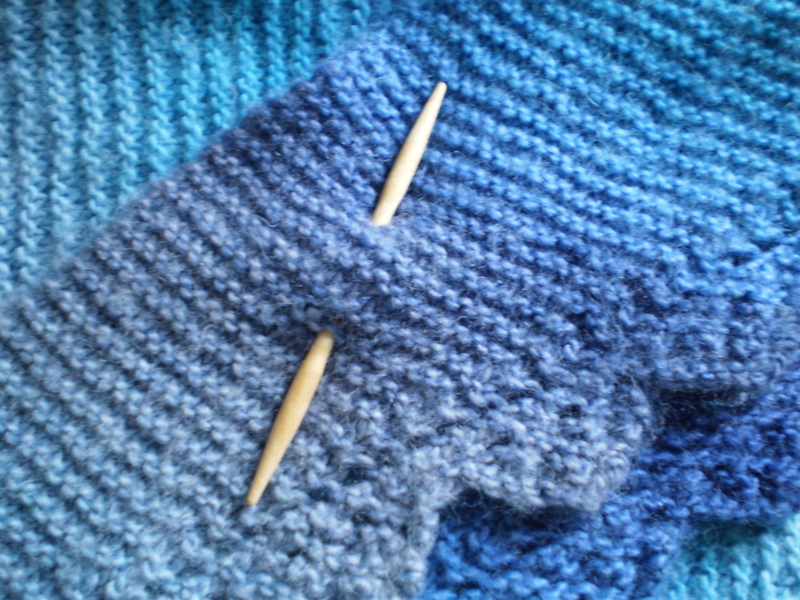 This is the point that I have to do something important!” To keep on knitting, you’ll then move the marker from the left needle to the right needle, and keep on knitting. Easy peasy. 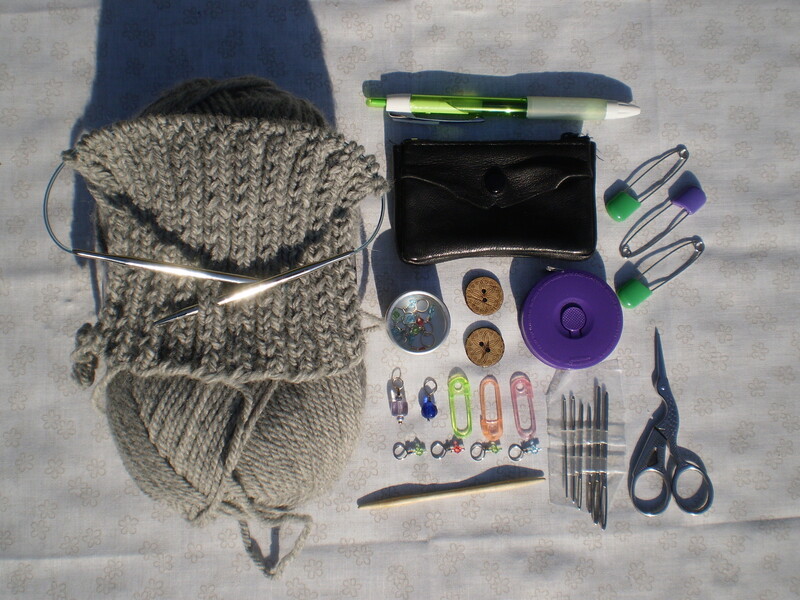 This entry was posted in Knitting Accessories and tagged stitch markers, tools on February 25, 2013 by onemilljellybeans. I don’t know about you, but I love seeing what other people have in their purses. Maybe it’s just me being a weirdo, but there’s always something interesting in there. Of course, you always have the usual; keys, wallet, cell phone, spare change, wadded up receipts, random old pens (I have one old purse that I just found that had, I kid you not, 10 pens in it. What was I thinking?). But there is always something weird in there, too. Maybe it’s an old notepad with some cryptic notes scribbled on it, or maybe a tiny plastic hippopotamus that someone got out of one of those 25 cent vending machines at the grocery store, or maybe a single big hoop earring that got left in there after you lost the other one at a new year’s party. Who knows? My knitting toolkit. 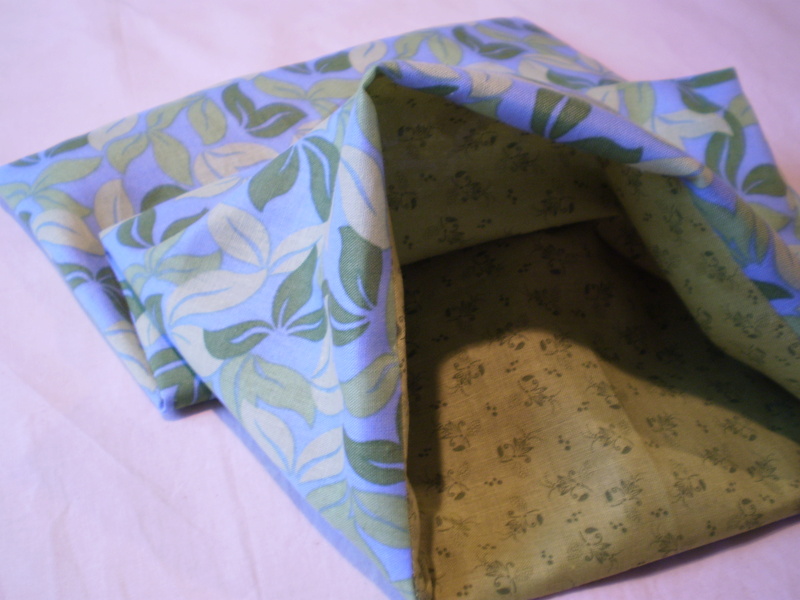 This is a little wallet-y pouch thing that I received in a swap years ago. I’ve got a couple of these little kits rattling around my knitting things. It’s great to have one of these always loaded up with useful little bits and bobs so that you don’t have to go running around looking for a needle or scissors. So, what’s in mine? Stitch markers-several kinds, several sizes for all your stitch marking needs. Scissors-I like these because they are tiny and pretty. I think I got them at JoAnn’s years ago for a couple bucks. They make me feel all fancy-like. Tapestry needles- organized on the plastic dealy that they came on, so they aren’t just rolling around loose and getting lost. Diaper pins-I actually got these in a swap, too, and had no idea why someone would send them to me. It seemed dumb. But, I use them all the time. You can use them to mark the beginning of a row when a stitch marker won’t work. 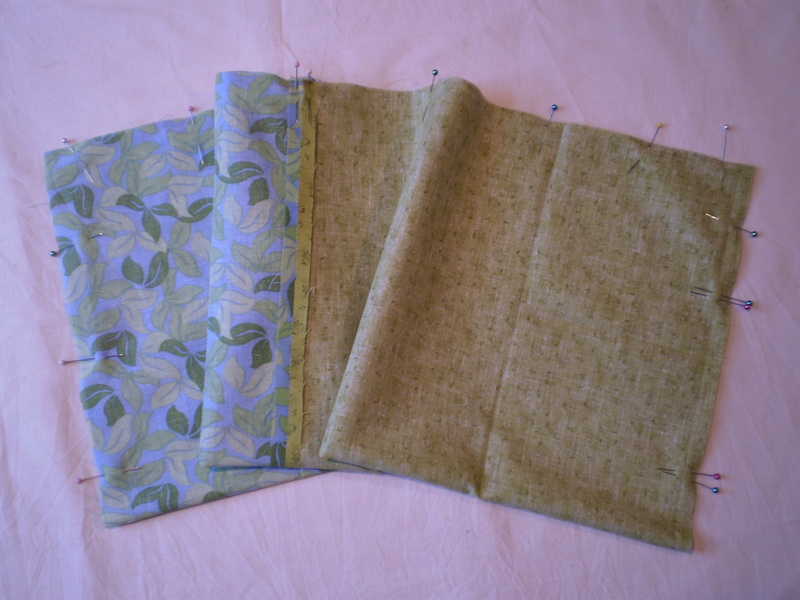 You can use them to pin two pieces of knitting together when you’re seaming it. 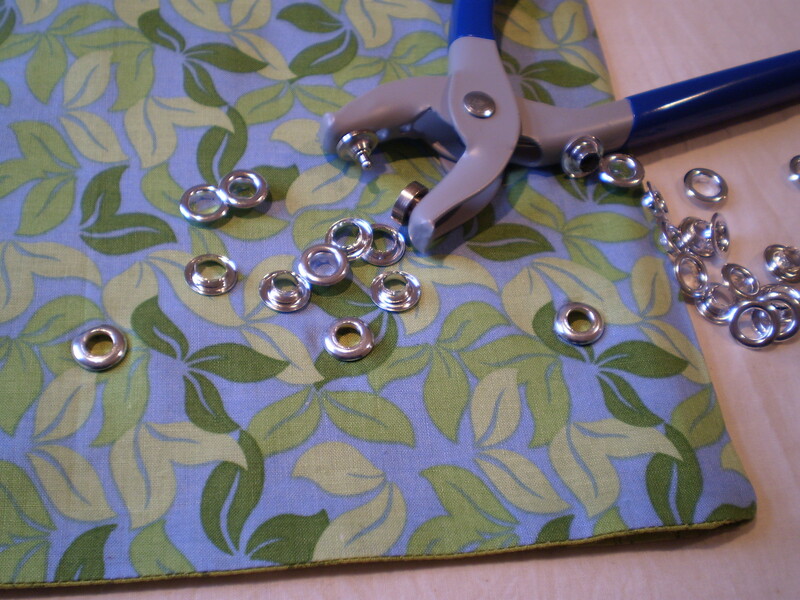 You can use them to organize buttons or stitch markers when are afraid you’re going to lose them before you get home. Also, they’re better than just using safety pins, since they don’t have as many jagged metal bits to cause snags. A cable needle- Never leave home without it. Easy to loose, not used a lot, but essential when you need to find it. So, I showed you mine. You show me yours. 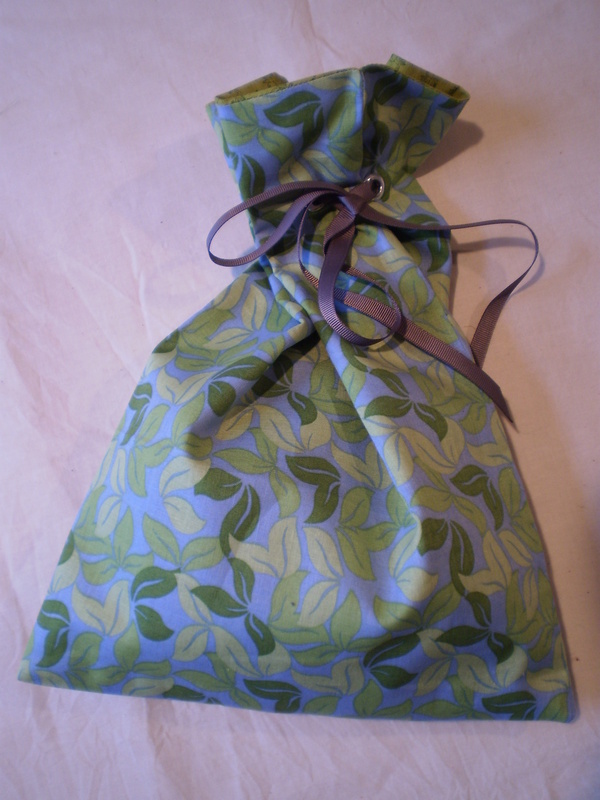 What’s in your knitting bag? 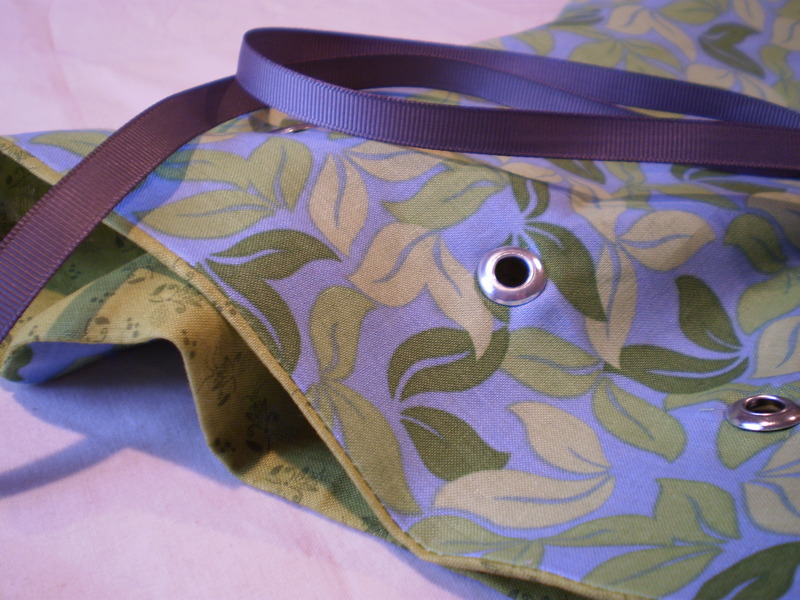 This entry was posted in Knitting Accessories and tagged knitting bag, organization, scissors, stitch markers on February 18, 2013 by onemilljellybeans.